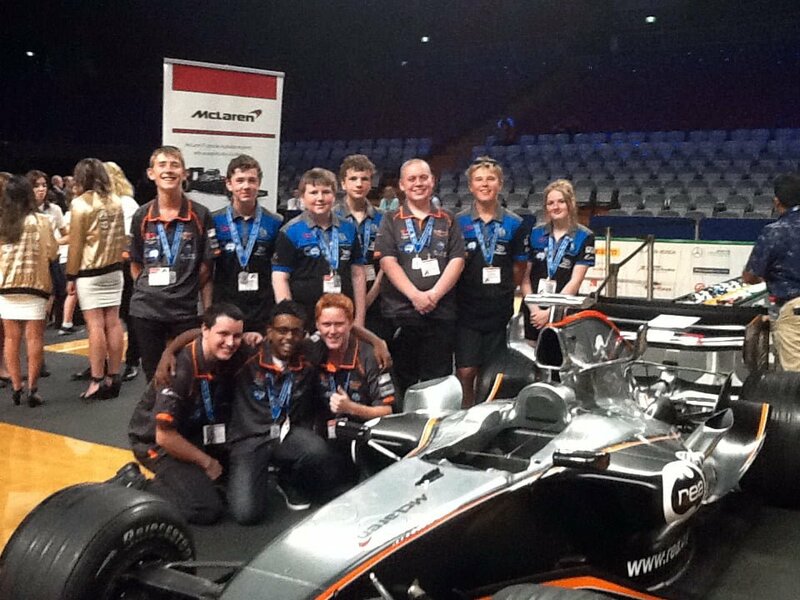 The F1 in Schools STEM Challenge is the world’s foremost student competition for Science, Technology, Engineering and Mathematics. This program is the most competitive STEM competition involving over 17,000 schools in 44 countries worldwide. Students DESIGN-MAKE-RACE a miniature F1 car capable of 0-80km/h in under 1 second. This program aims to develop skills in problem solving, project management, communication, presentation, teamwork, innovation, self-promotion, collaboration, marketing and entrepreneurialism – which are clearly identified as aiding in the transition through high school – skills in demand by industries the world over. Students from Phoenix P-12 Community College have been very successful winning several National championships and the World championship, having access to real-world technology such as 3D CAD/CAM/CAE engineering design software at the school. For further information, please visit the F1 In Schools website.